Harvard Business Review frequently examines the greatest issues facing companies today through its interactive resource, The HBR Insight Center. A recent installment of their series focused on how the growing obsession with customer service excellence is driving managers to turn their companies into customer-centric organizations. The following post analyzed how a major banking institution took an innovative, design-inspired approach to improving its website in order to enhance the customer experience. Fidelity was the bank that made the daring move to employ design thinking, which is based on the concept that designing a better product is based on gaining genuine insight into the customer’s needs, behaviors, and motivations. The decision yielded a very favorable return. 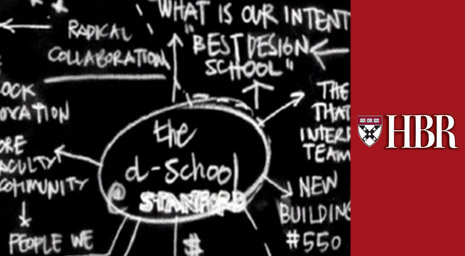 To incorporate design thinking into its website development, Fidelity selected the students at Stanford University’s d.school to take control of the design process. The d.school emphasizes using design thinking to solve big problems by systematically defining, validating, and addressing issues in more creative and effective ways. The approach is based on spending time with consumers and asking questions about their needs, wants, and expectations. The goal is to listen to their unfiltered feedback and see their immediate reactions to determine what will make the greatest impact on consumer behavior. Their responses show the ideas that will resonate with consumers, as well as indicate if a concept needs to be eliminated in favor of a better solution. Fidelity based the project on gaining insight into two questions regarding ways to create infectious action. The first question dealt with how to get workers to save money for the future, while the second asked how to convince younger people to do something they know is beneficial, yet won’t produce a positive return for many years. Armed with these questions, the students began con­ducting research, developing prototypes, and testing ideas. They came up with many inspired options, which they posed to consumers in order to gauge their reactions. Among other insights, they learned that graduate students dislike financial complexity and Gen-Yers need ongoing motivation to influence long-term behavior. As a result, Fidelity redesigned its website to feature very clear ways to illustrate banking information and began providing positive motivation to customers who achieve their savings goals. These actions were driven directly by the students’ customer-focused findings and the improvements have been met with very favorable customer reactions. Today, Fidelity has made design thinking the center of its operations and now begins projects directly with customers to incorporate their perspectives much earlier and more effectively. This process has the additional benefit of making customers feel valued and showing that Fidelity is really listening to their needs, which makes for an even more positive customer experience. It’s ironic that a major banking institution would entrust a group of young design students with its entire Web presence, but by incorporating the students’ customer-centric principle of design thinking, Fidelity has greatly increased its ability to continue delivering outstanding customer experiences. If you’re interested in discovering creative online strategies to enhancing your brand’s customer experiences, contact MDG today. Our core capabilities include print advertising, branding, logo design, creative, digital marketing, media planning and buying, TV and radio advertising, customer relationship management, inbound marketing programs, public relations, Web design and development, email marketing, social media marketing and SEO. View MDG Advertising’s creative marketing portfolio.